Hello and welcome to the 734th installment of the SWD. Left over Islamic State’s improvised explosive device killed one and wounded one civilian near the village of Al-Hawra in western Raqqa. Hayat Tahrir al-Sham clashed with Faylaq al-Sham in Armanaz area, after the latter raised the flag of the Free Syrian Army in the area. Four elements of Faylaq al-Sham were wounded in the clashes. 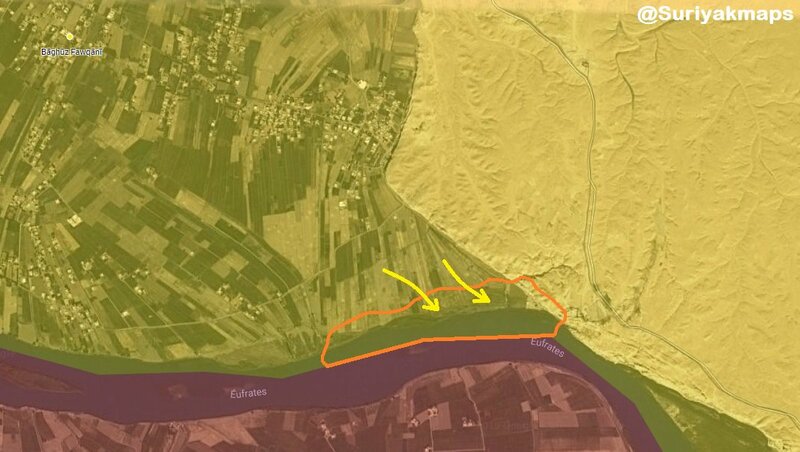 Syrian Democratic Forces captured the remaining positions that the Islamic State held along the Euphrates river, however, reports suggest that the Islamic State is still in control of one position near the river. Four elements of the Afghan Local Police surrendered to the Islamic Emirate of Afghanistan (Taliban) in Bori area of Qaysar district. Afghan National Security Forces killed four elements of the Islamic Emirate of Afghanistan and destroyed a vehicle in Nirkh district. Afghan National Security Forces killed six elements of the Islamic Emirate of Afghanistan, as well as destroyed a vehicle and a motorcycle in Qarabagh and Andar districts. Islamic Emirate of Afghanistan’s snipers killed six elements of the Afghan National Security Forces in Marjah and Jerashk districts.